Submitted by mark on Monday, July 23rd, 2018 at 9:14 pm. It is with great sadness that I report the passing of John Daniels. John Daniels, was the first Chairman of Historic Places Wellington when it was launched in 2012, and stepped down from the committee earlier this year. 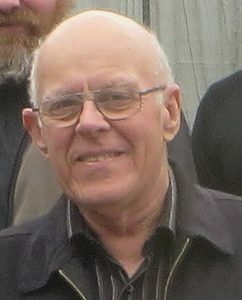 John joined the Wellington Branch Committee of Historic Places Trust in 2011 in order to assist with the challenging task of changing that committee to a fully independent nongovernmental organisation as was required by the Government legislation which was subsequently passed as Heritage New Zealand Pouhere Taonga Act 2014. Over these difficult few years John had primary responsibility for shaping the role HPW would take and its relationship with the national body of Historic Places Aotearoa, as well as engaging with the Government on the heritage legislation. John stepped down from the chairmanship after passage of the legislation but took over the job of Treasurer for the next two years. John was subsequently appointed to the Executive of Historic Places Aotearoa where he was a wealth of knowledge and wisdom. He has assisted with the preparation of a number of HPA policies and documents during his time on the Executive and we missed him when he resigned at the 2017 AGM, although he continued to assist when called upon. As many will know, John’s career in heritage work has been a long and distinguished one. His early civil service career was mainly in the Department of Internal Affairs, where he served inter alia as Senior Research Officer. Alongside his work, he was active in archaeology, joining the Wellington Archaeological Society and being the Site Recording Scheme central file keeper for some 14 years. He was also a Council Member of the NZ Archaeological Association and a member of the Onslow Historic Society. In 1971 he was appointed Chief Executive Officer of the Historic Places Trust (now Heritage New Zealand) and served in that capacity for 17 years, retiring in 1988. In retirement he did some contract work on heritage issues as well as voluntary work as a committee member and also chairman of the Friends of the Bolton Street Cemetery. John’s wealth of experience in heritage work has been a huge asset for Historic Places Wellington and he will be greatly missed. John will be sadly missed by the heritage fraternity and we all have some rather large boots to fill. Our thoughts go out to John's family. Submitted by mark on Wednesday, December 14th, 2016 at 5:28 pm. Minister Maggie Barry has generously supplied us with a copy of the text of the keynote address notes given on her behalf by Minister Craig Foss. Her office advises these are speech notes and as such are not a verbatim copy of the address. With this in mind, it’s important to consider both tangible and intangible value in any conversation about cultural heritage so that we are able to identify and protect our heritage places for present and future generations." Submitted by mark on Sunday, November 20th, 2016 at 5:22 pm. 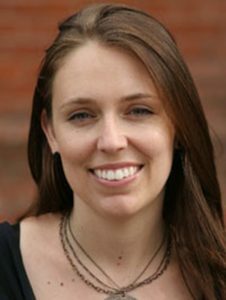 Jacinda Ardern MP has generously provided us with a copy of the Address she gave to the Historic Places Aotearoa. "I will leave with you a few of these thoughts in writing. Please do feel free to take the time to think about them, and any other ideas you have in this space. I would welcome your thoughts." Submitted by mark on Thursday, October 27th, 2016 at 2:12 pm. 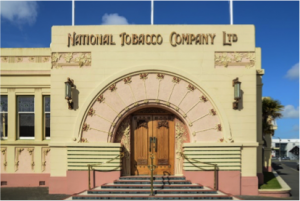 Government policy on how the country’s heritage is protected and managed will be a hot topic at this weekend’s Historic Places Aotearoa’s annual general meeting in Hawke’s Bay. Keynote speakers, Acting Civil Defence Minister Craig Foss and Labour’s arts, culture and heritage spokesperson Jacinda Ardern, will address various heritage issues. 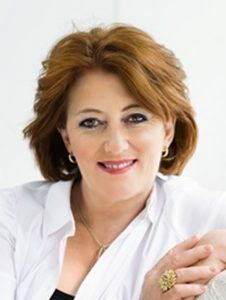 Mr Foss will deliver the speech for Arts, Culture and Heritage Minister Maggie Barry, who is unable to attend. 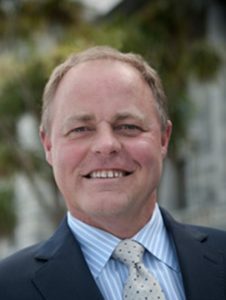 Historic Places Aotearoa president James Blackburne is thrilled government and opposition representatives will speak at the Historic Places Hawke’s Bay-hosted event. Submitted by mark on Wednesday, August 24th, 2016 at 9:18 am. Historic Places Aotearoa says Department of Conservation Deputy Director-General Mervyn English must immediately reconsider the planned demolition of the Aniwaniwa Visitor Centre. “The visitor centre is a significant part of New Zealand’s modern architectural legacy, listed by Heritage New Zealand as a Category One Historic Place, and a place of outstanding cultural value to New Zealand,” Mr Blackburne, who also chairs Historic Places Tairawhiti Inc, said this morning.